Do any of these four fields appeal to you? 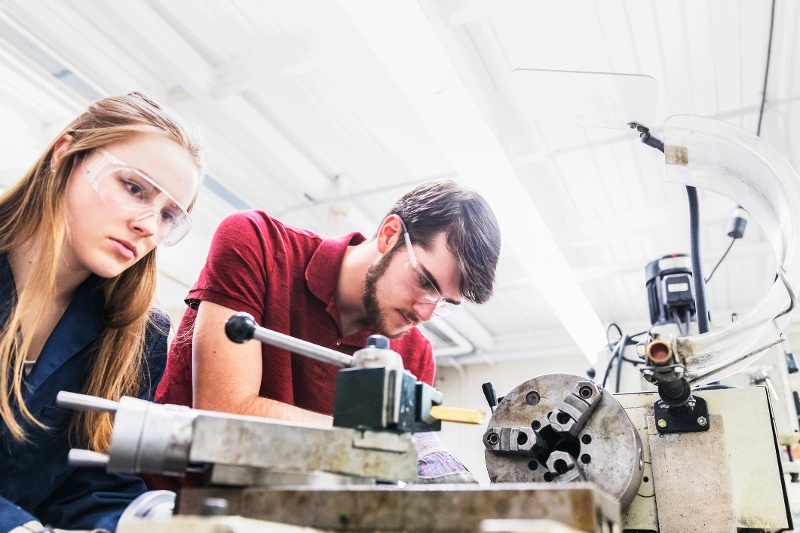 If so, there's absolutely no reason that you shouldn't pursue a college degree in a STEM-related field — especially in light of a recent study that projected that there would be about nine million STEM-related job positions available by the year 2022. At Neumann University, we offer a variety of STEM-related college degrees, including these five, and we're here to tell you a little bit more about a few others. According to Forbes magazine, the global cybersecurity market is expected to reach 170 billion dollars by 2020. Technological trends such as bring your own device (BYOD), the internet of things (IoT) and the increase in cloud based computing has emphasized the driving need for protection against cyber threats. Neumann University’s degree in Cybersecurity, proposed for fall 2019, will give students a background in network security, operating systems, programming, and information assurance – all skills designed to prepare you for a career in this growing field. Nursing blends expertise in science and technology with the practice of caring and compassion. Nurses promote health, prevent disease, and help individuals, families, and communities cope with illnesses in a myriad of professional settings from hospitals, long-term care centers, and doctor’s offices to schools, research facilities, rehabilitation centers and homes. Nurses work closely with doctors and other health care professionals, and serve as the advocates for patients and families. The kind of work that you do will depend on the educational path you choose. There are more than 100 different specializations in Nursing. Neumann University is excited to offer our Pre-Occupational Therapy Program to students who wish to be part of this rapidly growing and rewarding field in health care. Because of the substantial role that technology plays in today’s workforce, computer skills will be in high demand no matter what career path you decide to take. Computer information systems is a savvy degree that will give you much-coveted technical expertise while also incorporating a broader, more business-centered aspect into its coursework. Valuable technical knowledge combined with skills such as project management will make you a prime candidate for management positions. You can expect to earn a median annual salary of about $119K as an IT manager. 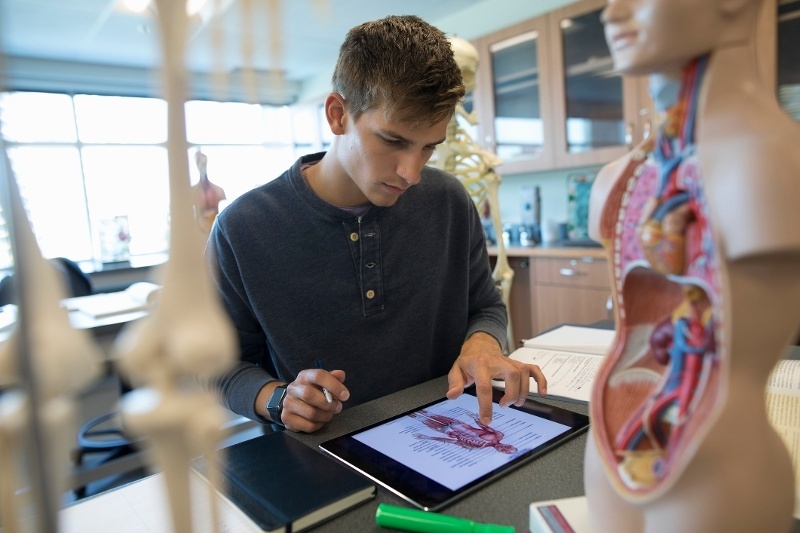 Neumann offers a Pre-Med academic option for students who are interested in medical careers to meet as a group with the Pre-Medical Advisor during their freshman and sophomore years. Formal professional advising, however, does not begin until the second semester of the sophomore year and only after the student has applied for the advising process and is interviewed and selected by the members of the Pre-Medical and Pre-Professional Advisory Council of the Division of Arts and Sciences. Neumann University and Duquesne University have developed a cooperative program of study leading to the Doctor of Pharmacy (Pharm.D.) degree. This six-year doctorate program begins with the Pre-Pharmacy Early-Entry Program at Neumann University. At Neumann, academically qualified students who have been accepted into this program begin two years of pre-pharmacy course work before transferring to the Duquesne University Mylan School of Pharmacy. For students considering a career in either chiropractic or podiatric medicine, Neumann University has established educational partnerships with both the New York Chiropractic College in Seneca Falls, NY, and the New York College of Podiatric Medicine in New York, NY. Students who have been accepted at Neumann and who have declared their intent to continue their studies at either the New York Chiropractic College or the New York College of Podiatric Medicine take three years of prescribed courses at Neumann which lead to a Bachelor of Science degree with a major in Biological Science. To become a Certified Athletic Trainer (ATC) you must receive a bachelor's or master's degree from a college or university with a program that is accredited by the Commission on Accreditation of Athletic Training Education (CAATE). Once the candidate receives their degree they must then pass the national certification examination conducted by the Board of Certification (BOC). Neumann University offers a Pre-Athletic Training bachelor's program for driven and energetic students looking to work in a specialized health care sector. Data Science and Analytics is not only one of the fastest growing fields in the United States but also one of the highest paying jobs in the tech sector. 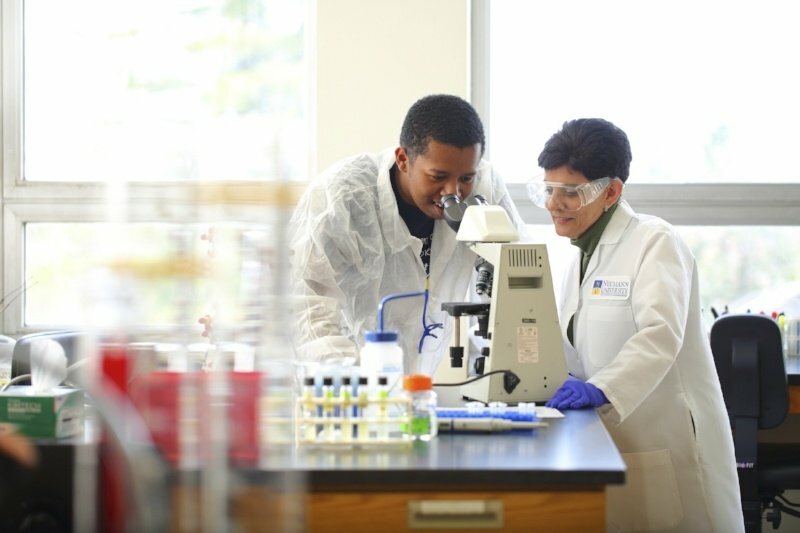 Neumann University’s major in Data Science and Analytics gives our students a strong background in statistics, computer science, and mathematics along with the critical thinking skills necessary to analyze voluminous and complex data sets. Along with learning computer programming, you will also learn how to manage database systems and perform data analysis. DO YOU SEE YOURSELF WORKING AS A LEADER IN A STEM FIELD? The best way to get started is to jumpstart your education with a bachelor's degree in a STEM field. If you have questions about attending Neumann University for college, we hope you'll request more information today! Check out our digital resource page — The Pathway to College: How High School Students Can Best Prepare for College — and learn how to best tackle the college admissions process.